Food trucks are everywhere, but it’s only every so often that a food truck also successfully branches out into becoming a restaurant. That’s the story of Pinche Tacos, who in addition to their trailer rotating between farmer’s markets, 16th Street Mall and Civic Center EATS now boasts a charming brick-and-mortar space at York and Colfax. 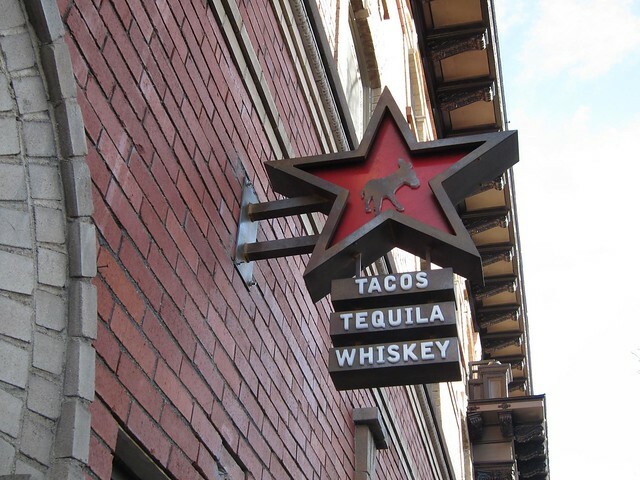 With the addition of tequila and whiskey to their breakfast and street taco menu, the restaurant location of Pinche Tacos is officially a place where you can sit down and drink and not just stand up and eat. 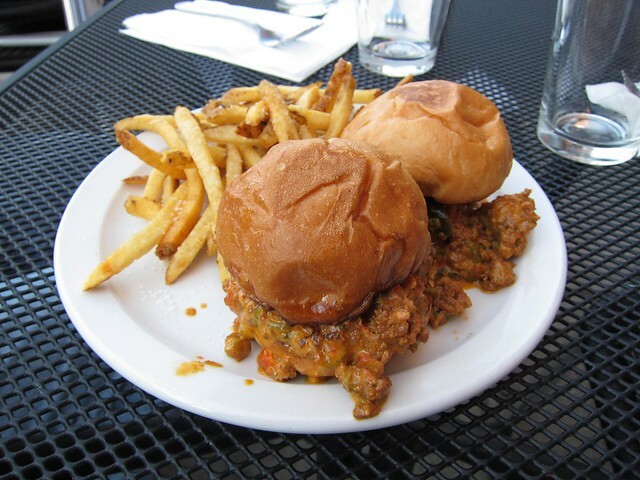 At the restaurant’s happy hour the menu is short and sweet, centered around the why-did-no-one-else-think-of-this-before-Sloppy Jose: a glorious mess of braised chorizo with roasted poblano chile, tomato and chipotle on a grilled City Bakery bun. It’s an oozy, gooey affair, with saltiness and heat and pork-fat juiciness all soaking into the slightly sweet bun. Two of the petite sandwiches are served with house-made fries for five bucks, and if you’d rather swap food for liquor, get a Sloppy Jose plus a PBR and a shot of Bulleit Bourbon for just a few dollars more. 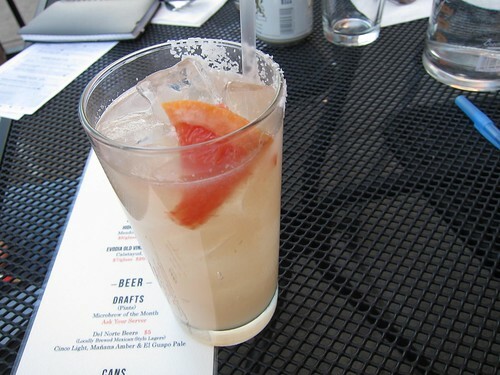 For a cocktail, try their house margarita, or sip on Pinche’s spin on the Paloma, here made with Proximus Blanco tequila, agave nectar, Squirt soda and fresh grapefruit and lime juice. If you’d rather venture off from the happy hour menu, Pinche Tacos offers a selection of antojitos (“little desires”)—crocks of melted cheese and/or assorted salsas with tortilla chips, just the thing to go with a beer. 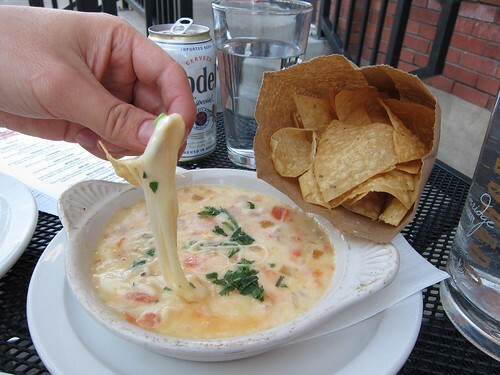 We tried the Queso Fundido con Tequila, a pool of melted, tequila-scented Monterey jack cheese studded with bits of tomato and onion and served with a paper bag of crisp, salt-sprinkled tortilla chips. 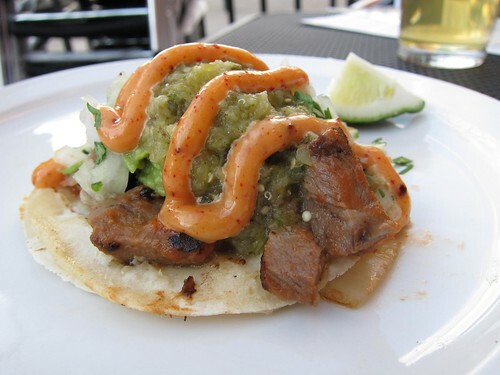 We also had one of the signature street tacos: the Lengua, two soft corn tortillas heaped with meltingly tender and flavorful grilled Colorado beef tongue and paired with avocado, diced onion, cilantro, roasted tomatillo salsa and a squiggle of Guajillo honey mayo. If we hadn’t been full by then, we would probably have ordered several more—but at least when the craving hits again, there are now two locations to get a fix.